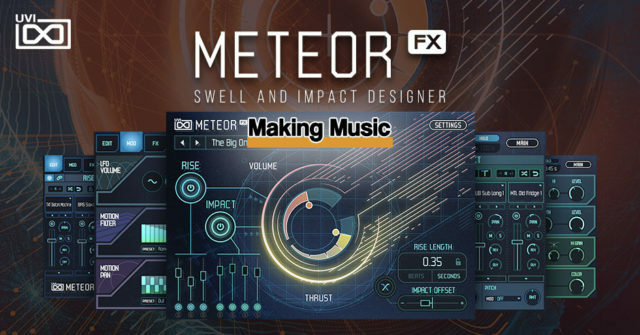 UVI Meteor is a software tool created for musicians and creatives who focus on providing sound effects and soundtracks for television, cinema and games. So why are we so excited by UVI Meteor? 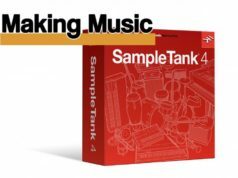 At first glance you might be wondering why here at Making-Music.com we’re featuring a tool that might not be the first choice for every musician’s toolkit. In our opinion some of the very best music comes from a place a little left of the dial. 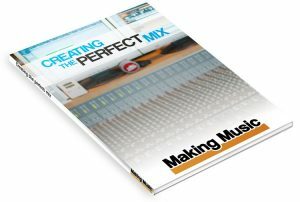 Drum and Bass producers like Inside Info cheerfully talk about how a lot of the unique sounds in their music come from unusual sources. For example, InsideInfo carries a sound recorder with him everywhere he goes. Field recordings are then manipulated using the brilliant UVI Falcon, and a creative peak is reached. So what if you didn’t need to take the dog (and your sound recorder) for a walk in order to create something unique? What if your music cries out for drama and impact? 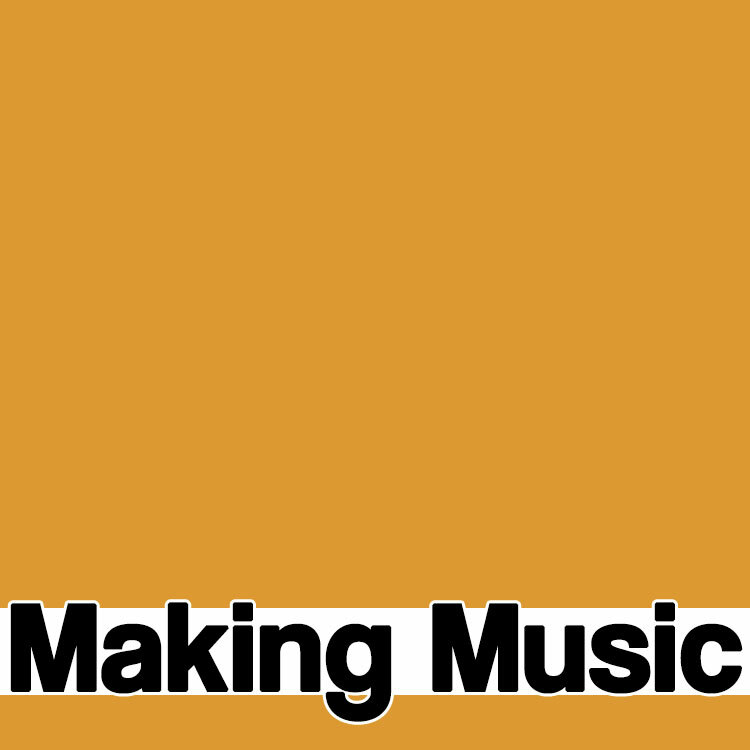 You could scour the web for field recordings that other people have made. But then you would need to do some serious work to bring out the dynamics you’re looking for. That car door slamming might have sounded like the most amazing kick sound when you were in the supermarket car park, but back at your studio you’ll realise you’ve got your work cut out. 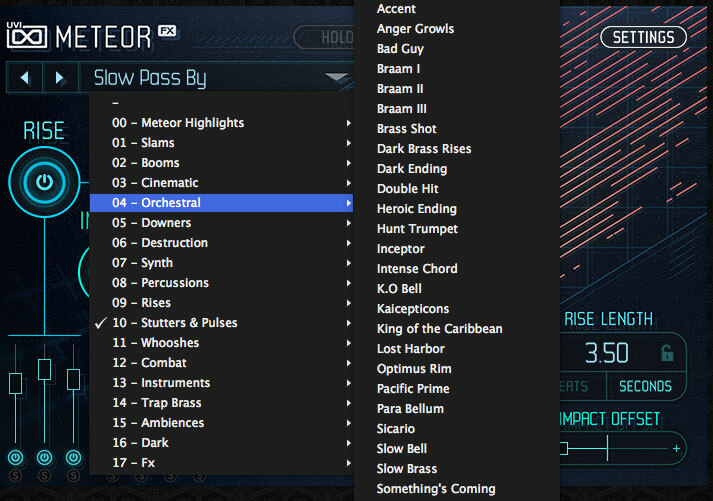 But I don’t create soundtracks, why would I want UVI Meteor? 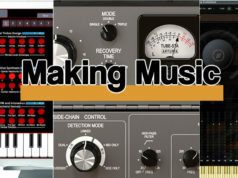 As you browse through the reviews we write here at Making-Music.com you’ll see that we love soundtrack tools. The popularity of developers like Spitfire proves that we’re not the only ones. Despite the fact that video and film production is a growth industry, the sales figures for soundtrack tools reveal that the appetite for this type of specialised software goes far beyond those musicians who create soundtracks for a living. How did that make you feel? If you listened through your studio monitors, or through a smart TV with surround sound then you can’t fail but be a bit excited by this. 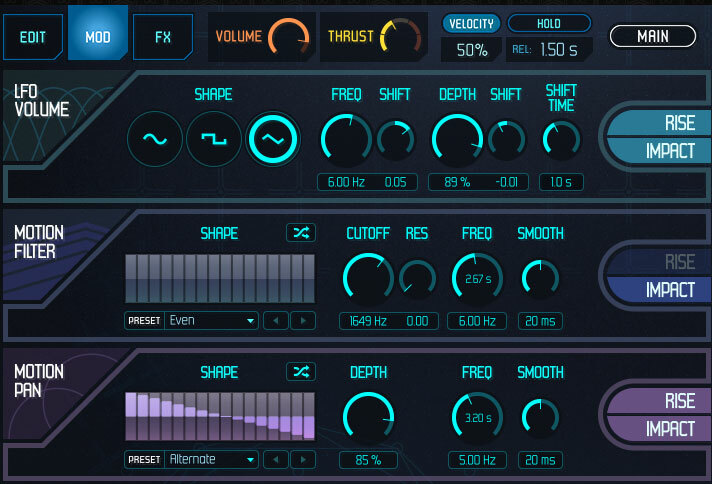 We can think of a great many number of genres of electronic music that would greatly benefit from a touch of magic from UVI Meteor. 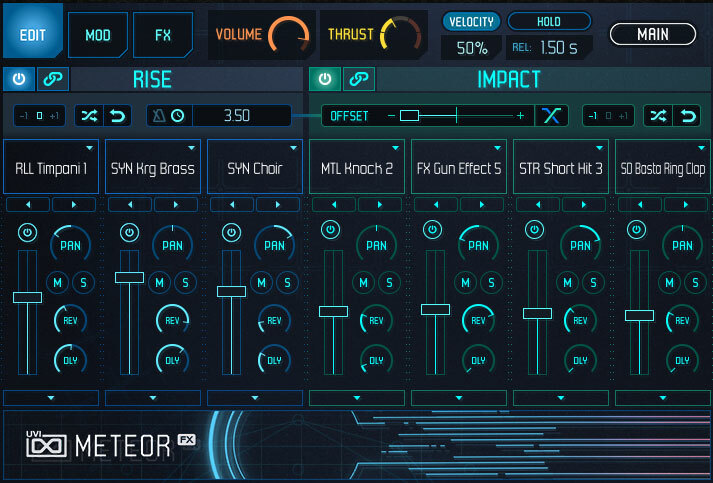 We’ve been playing with using the impacts that Meteor can generate to beef up kick drum sounds. It’s very much fun indeed. How about instead of thinking about one of the epic swells Meteor creates you consider it is a riser? I’ve decided not to make an exhaustive list of potential uses for Meteor as a part of this review. We know how creative our readers are. By this point in the review you’ve probably already got some new ideas bubbling away in the back of your brain. Okay, so it’s clear we’re impressed. But how easy is UVI Meteor to actually used? We have all used (or attempted to use) Rompler packages that promise the world but ultimately only delivery confusion and frustration. Do you need a PHD in advanced string theory to get the most out of UVI Meteor? I bet you have already guessed the answer. No. No you do not need a PHD in string theory to exploit everything Meteor has to offer. UVI Meteor has one of the simplest interfaces we’ve ever seen. On launching you are presented with everything you need to get to work straight away. Samples are all based in C (hence the highlighted key in the GUI), but don’t have to be played in C. In my experience I found it easier to stick with middle C. The system is very fluid and flexible, but the generated sounds just felt better in middle C. If you’re using Meteor for sound effects then the key you play them in may not be as important, but if you’re using Meteor as part of a music project then this flexibility is very useful indeed. This initial / default screen also gives simple controls for manipulating the length of the rise and whether or not you require an impact at the end of the rise. The initial simplicity of the Meteor interface is a bit deceptive of the complexity of the engine that drives this software. Even with the few controls on the default screen it’s child’s play to create very unique sounds. But if you take a look under the hood, via the settings button, you can start to get a clearer picture of just how powerful and flexible Meteor really is. The first of the three settings screens give a surprising amount of control over the various aural facets of rises and impacts. There’s enough control here to not only create FX that sound original and new, but also to manipulate the sounds so they sound nothing like rises and impacts at all. That may seen counter-intuitive, but that’s where the magic can happen. The ‘Mod’ tab gives users the opportunity to manipulate the output via an LFO. Motion filters and panning controls give further scope for sound designers to get really stuck in. 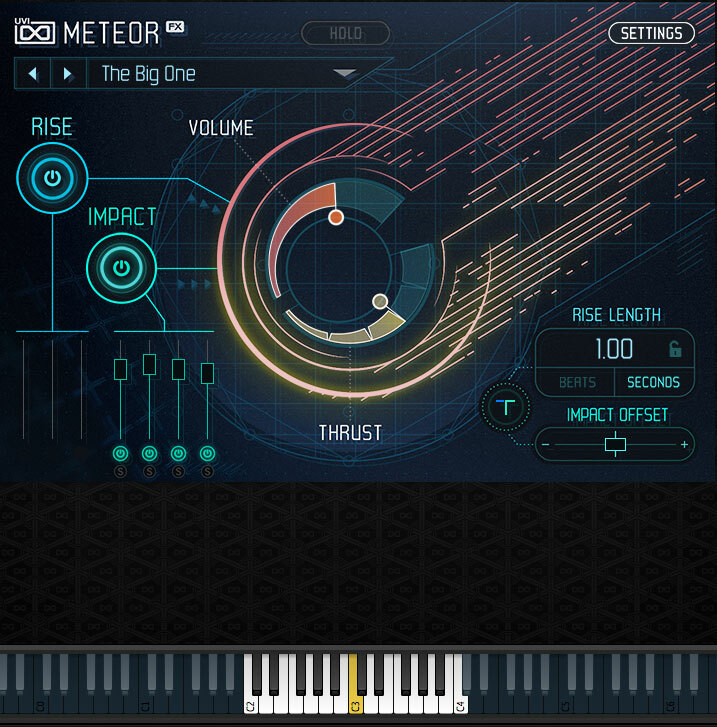 And finally the FX tab offers a deep level of control over the effects used by Meteor. If you pay for food and a roof over your head then being able to justify the €149 price tag could almost be a no-brainer. In our experience the luxury of time is no something anyone working at a professional level in sound design has in abundance. UVI Meteor is not a short cut, it is an efficiency improvement. If you’re not in the business of sound design or soundtrack creation then the low price of Meteor is still very appealing. 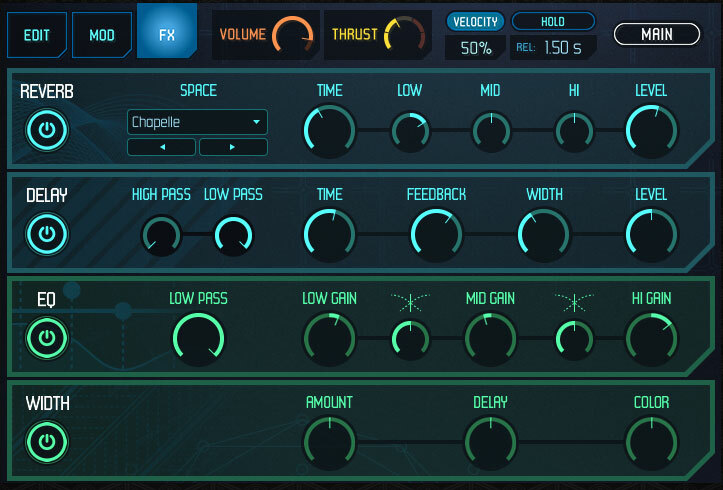 If you’re looking to give your creativity a shot in the arm then spending €149 on Meteor will be a lot cheaper than buying another new hardware synth. Any tool that encourages musicians to think in a new way, or to view sound from a new perspective is priceless. In this case the price of finding something new and inspiring is set very low indeed.